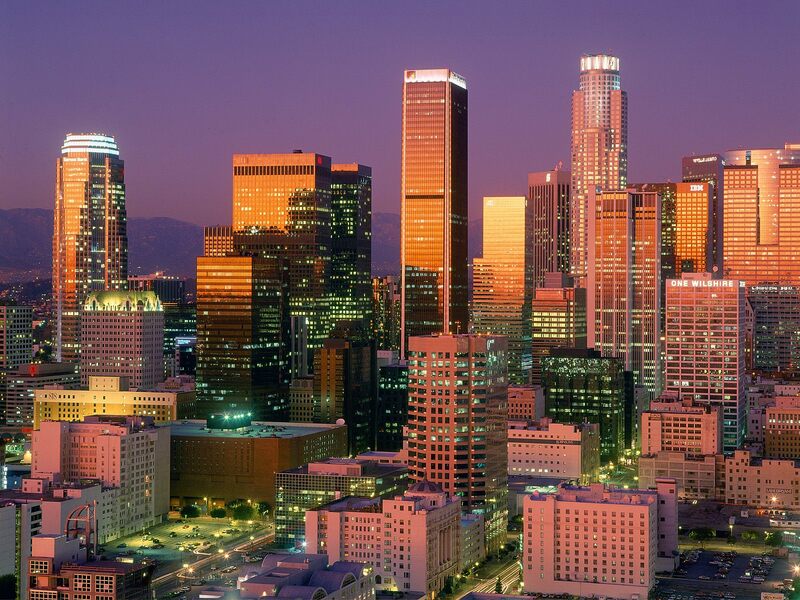 Los Angeles has a surface of 4.320 square kilometers in the urban area and a population of 13 million people; it is the biggest city in California and the second largest city in the United States. LA is considered as one of the best cities to live in US. The city of Los Angeles was founded in the year 1821, declaring its independence from Spain in 1848, after the American-Mexican war. Starting with 1848, the city becomes a part of the United States. An important moment of the city’s history was in the 1920 period, when the industry of movies moved from New York to Los Angeles. This is Hollywood, which was a simple district before it became the movie capital of the world. The biggest studios here are Paramount, Universal, Fox and Warner Brothers, making Los Angeles the most important entertainment center of the world. The majority of tourists prefer to visit the studios, and this can be done for the majority of them, except in some locations where movies are shot. Don’t be surprised if Leonardo Di Caprio or Robert de Niro salutes you! Los Angeles has a different kind of layout. While the density of population in New York is of 11 000 people/ square kilometer, here, it is only of 3000. This means that people prefer villas and large backyards instead of skyscrapers. This means large neighborhoods of villas, and even if the infrastructure can’t keep up with the millions of cars that drive around the city all day long. The highest point in LA is Mount Lukens, from which you can see the Los Angeles River in its full beauty. Another important LA attraction is the Civic Center, the biggest complex of governmental buildings in the United States, second only to the one in Washington. Here, there are many federal buildings for tourists that visit the United States, especially because of the large number of events that happened here during its history, including the criminal trial of OJ Simpson. Several streets away, you can find El Pueblo de Los Angeles, a historical park that is spread on a large area, which represents the place where the town was founded in 1781. Here, you can visit the original buildings that existed as a historical legacy for more than two centuries! South East of the Civic Center, you can find Little Tokyo, founded by the first Japanese immigrants in 1880. The neighborhood was devastated during the Second World War, but it was restored, and it now represents the central point of the Japanese population in LA. Here, you can taste the original sushi, and you can relax in one of the charming Japanese gardens. Another one of the Los Angeles attractions is Disneyland, a place that represents the world of cartoons, a place designed for children and adults at the same time. The park is built in four different sections, Adventureland, a miniature jungle, Frontierland and Fantasyland. LA is a dreamed destination by many, as tourists looking for fame and luck are coming here for their best life experience, which they will never forget.